Kenneth Weiss, Chairman and Chief Executive Officer of Universal Secure Registry, is a widely acknowledged expert in computer security and personal security/privacy. He was the founder and CEO of Security Dynamics Technologies Inc., now Dell Inc.’s RSA division. He was the inventor and designer of the SecurID token, and he designed the algorithm behind it. SecurID is the world standard for personal identity authentication for computer security and electronic commerce, having never been broken or compromised in 30-plus years. More than 150 million people and more than 90% of Fortune 500 companies, as well as corporations, consumers, governments, and banks in more than 30 countries rely on computer security and identity authentication systems such as SecurID designed and patented by Weiss. Among important early adopters of Dr. Weiss’s technology are the U.S. Department of Defense, Treasury, Congress and the White House. An internationally recognized authority, spokesperson, author, and inventor, Dr. Weiss has 30 U.S. patents and numerous foreign patents. He has several new seminal patents issued and others pending to address identity theft, secure financial transactions (eliminating carrying multiple credit cards), and a substantially improved replacement for the SecurID token. He has published more than 50 professional and peer reviewed articles and is a sought after speaker nationally and internationally. He has been interviewed by and profiled in major publications such as The New York Times, The Washington Post, The Boston Globe, Fortune, The Christian Science Monitor and The Wall Street Journal, and has been a featured speaker on major network television and radio. Dr. Weiss is also Chairman and chief Executive Officer of USR ID Inc., USR’s sister company and a licensee of USR technology. Dr. Weiss always has been an outspoken advocate for personal privacy and security issues. Dr. Weiss was a prominent critic of the 1994 United States government-initiated legislation and technology that would have required manufacturers of all forms of communications devices to integrate a microchip into their products allowing the government, presumably with a warrant, to centrally eavesdrop on private citizens and organizations. Dr. Weiss was a prominent critic of this abuse of authority and intrusion on privacy. Putting himself and his company at some risk, he spoke out against and published criticisms of such policies. His article, “New Initiatives Which May Erode Your Privacy,” was instrumental in defeating this multibillion-dollar technology and legislation. 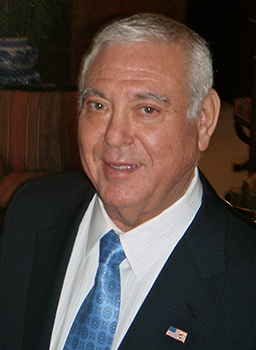 Arthur Hagopian is the President of Universal Secure Registry LLC, and is responsible for day to day operations of the company. Hagopian also serves as President of USR ID Inc., USR’s sister company and licensee of USR’s seminal identity authentication technology. He has been with each of the organizations since their inceptions. He is also Chief of Staff for founder Kenneth Weiss, managing broad portfolio of responsibilities. 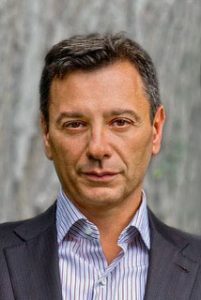 Previously, Hagopian was an award-winning journalist at The Wall Street Journal/Europe, Investor’s Business Daily, where he covered the consumer products industry as well as leadership and management issues. He was editorial page editor of the Pulitzer Prize-winning Eagle-Tribune, and before that he edited the business and features sections. He also has taught journalism and public relations at Northeastern University. He attended George Washington University and earned a bachelor’s degree in Journalism from Northeastern University.